JERSEY CITY, New Jersey (WABC) -- A fire in Jersey City prompted the closure of the outbound Holland Tunnel Friday evening. 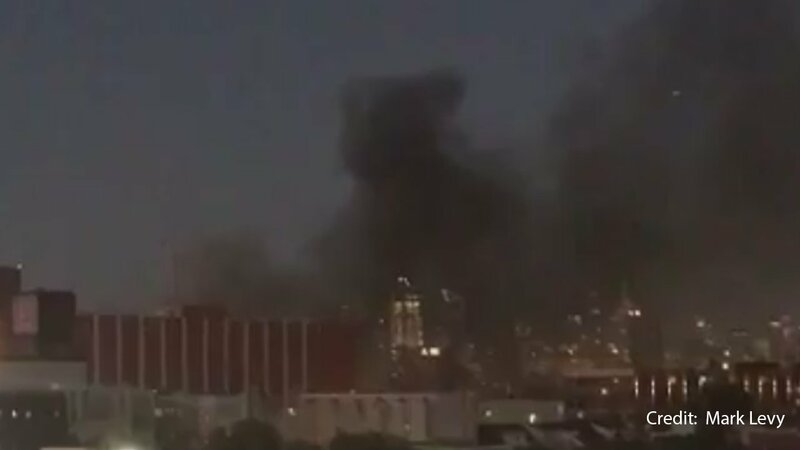 The fire began around 6:45 p.m. in an industrial building on 14th Street near the intersection of Coles Street in Jersey City. The west-bound tube of the Holland tunnel closed around 7 p.m. as firefighters brought the fire under control by 9 p.m. It remains closed as of 11:30 p.m. Friday due to the fire department remaining on the scene and was eventually reopened overnight. Westbound traffic was diverted to the Lincoln Tunnel.